Double vinyl LP pressing. 2018 release. On 2007's "Nostalgia," a memorable track off Marco Polo's album, Port Authority, chemistry between Polo and guest MC Masta Ace is easily heard and felt. What was a quick one-off collab was not only a reminder of Masta Ace's timelessness, but it was also the impetus for a larger, more fleshed out concept between the Toronto beatsmith Polo and the legendary MC. The pair since formed a duo and the result is a powerfully evenhanded project, A Breukelen Story. It's 2018 we find hip-hop's storied journeyman, Masta Ace, at the helm of another sharp, tightly wrought project. He's traversed hip-hop's ever-changing landscape for nearly three decades, navigating different eras while expanding his already extensive catalogue. From his formative work with the legendary Juice Crew, to a bombastically renowned stint with Delicious Vinyl, it's hard to find a more humble master of ceremony than Ace-even harder is finding another figure whose work is equally embraced on both coasts, East and West, as well as abroad. Despite amassing 7 solo albums, 5 collaborative projects and countless additional one-offs, Ace is still trying to show and prove, still moving the needle forward for himself, his fans, and his career. Says Ace: "My goal on A Breukelen Story was to do more lyrical stuff. I've done a lot of concept songs, and a lot of topical records, but I made a point to put a couple straight rhyming joints on here to remind dudes I can still do this." 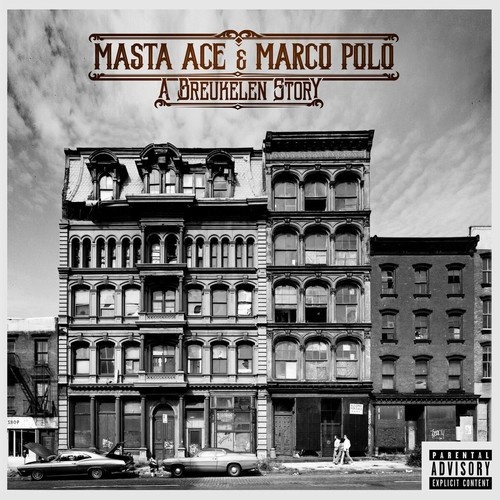 "I met Masta Ace for the first time while interning at Cutting Room studios in Manhattan," says Marco Polo, longtime Canadian producer whose exploration of samples and boom-bap aesthetics certainly suite his moniker. "Ace came in for a session in the studio years and I introduced myself and gave him a beat CD." While Polo was a young intern on the RISE, he quickly worked the situation to his advantage, eventually producing for giants he grew up admiring- Kool G Rap, Large Professor, Scarface, Sean Price, Black Thought, Talib Kweli, to name a few.